How to Learn a New Language – FAST! The thing I hate the most is being in a new country and not being able to speak the language. It’s been two months since I arrived in Berlin. You may think, “Well, you are in Berlin – you can totally get by in English. You don’t even need German.” Although that might be true for people passing through the city (and even then, I think “Travel Etiquette” requires that you should always try to speak the language of the country you are visiting in), I’m not here on vacation. If you want to actually find a job or work in Berlin in something that you are interested in, it’s pretty imperative that you learn German…and learn it fast! So how the heck do you do that? One trick is to find a TANDEM partner in Berlin! 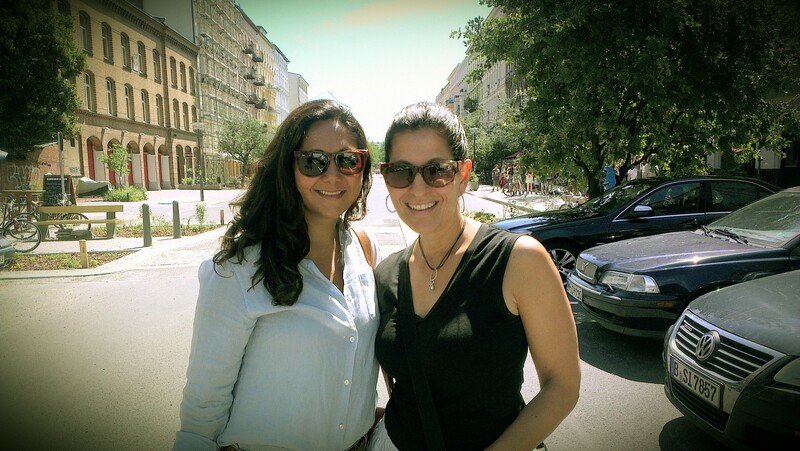 Okay not my tandem partner – but my friend Lisa visiting from Vancouver – on my new street: Odeberger Strasse!